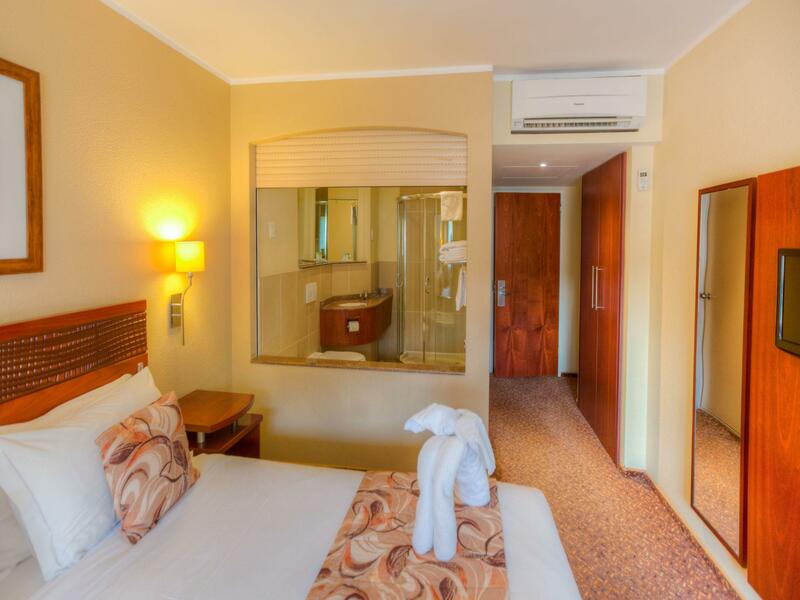 ﻿ City Lodge Hotel Durban Durban. JIMAT di Agoda.com! Ada soalan mengenai City Lodge Hotel Durban? Sama ada anda melancong atau ke luar kawasan kerana kerja, City Lodge Hotel Durban merupakan pilihan penginapan hebat ketika melawat Durban. Dari sini, tetamu boleh menikmati akses mudah kepada semua yang bandar meriah ini boleh tawarkan. Juga terletak berdekatan adalah Kelab Yahudi Durban, Tasik Jozini, St. Paul's Church. Perkhidmatan hotel kelas pertama dan kemudahan yang menentukan pengalaman City Lodge menanti anda di City Lodge Hotel Durban. Untuk keselesaan dan kemudahan tetamu, hotel ini menawarkan Wi-Fi percuma semua bilik, meja depan 24 jam, fasiliti tetamu kurang upaya, simpanan bagasi, Wi-Fi di tempat awam. Hotel-hotel telah direka demi keselesaan dan memudahkan tetamu. Sebahagian bilik menyediakan televisyen skrin rata, linen, cermin, tuala, almari. Senarai lengkap kemudahan rekreasi boleh didapati di hotel, termasuk pusat kecergasan, kolam renang terbuka, taman. Apabila anda mencari penginapan yang selesa dan mudah di Durban, ijadikan City Lodge Hotel Durban sebagai rumah anda seperti berada di rumah sebenar. Value for money, secure and very helpful staff. Room doors a bit thin and some noise may come through from the corridor. You may need to negotiate steps. There is no fridge in the room. Tea and coffee making facilities are provided. In-house restaurant is open til 10 pm. A booklet to order food delivery from a variety of providers (including halal food) is provided in the room. There is a food store across the road but other shopping is a bit further away. Beds are fully stripped down to air after guests leave the room. Take the shuttle service from the airport directly to the hotel and back again for R80/journey. It's a fine place but the restaurant is currently closed in the evening and the pool area is out of bounds most days due to building work. Just check on the progress of the renovation before you book. I'm sure it will be great when all the facilities are available again. You enjoyed your stay but the shower didn't have enough water. Smokers smoking in non smoking areas, liquor being used openly in car park , loud and disruptive shouting in the passage by revelers in the early morning ( 01h00 - 03h00). No interference from Hotel staff to correct this , and the excuse given - it was a busy weekend due to the Durban July . Please! I don’t understand why l am always in an upstairs room yet l have a knee problem & there is no one to assist with my case. I have stayed at this lodge many times but this could be my last because of stairs if l want a double bed. Overall à good stay. The only critique would be to review the Halaal status to the restaurant offerings. There is no certainty that the food being served is 100% halaal although it's conveyed as halaal friendly. My suggestion would be to isolate a small portion of the facility to be strictly halaal just for breakfast. This will most certainly increase your Muslim patronage within the establishment. I think the entrance to the pool is weired as one has to pass the breakfast area to enter or exit. You have lots of people sitting there and you walk pass either dry or wet in your costume. There is no space also to pass through They have to change that area urgently We suggest all hotels have a mini bar and a fridge. My stay there was very nice. The staff were very helpful and friendly. The food was good and the location was brilliant. I would definitely stay there again if I ever go to Durban again. Very good. Thanks. We enjoyed our stay at the City Lodge even though the Trainee wrongfully charged my card while i had already made the payment. The next time we travel to Durban again it will be our 1st hotel to book. We only struggled with food as the light meals on the menu were not appetising. But for a 3 star hotel it is the best. We will come back again very soon n the WiFi is super fast uploading our memories to social networks was easy. Although it was a very pleasant stay I wish they would of just gone that extra mile. I was a single occupancy but booked a double room with no breakfast through Agoda. When contacting the hotel and requesting if I could amend my booking to include breakfast because I will be paying for a double and will only be a single, the manager on duty could not help with my request and said I must contact Agoda if I want to change anything. Some guests behavior was bad, making a noise the whole night. They smoke in the rooms and it comes in your room. 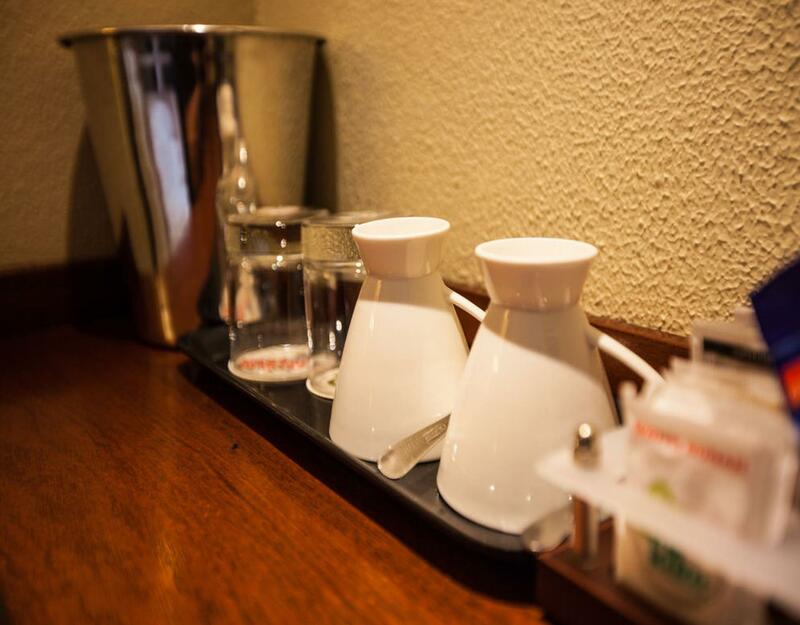 The hotel is quite impressive, friendly staff, environment neat, access is quite easy and close to major attraction. Its also so serene and afford one an opportunity to relax and have a quite moment.